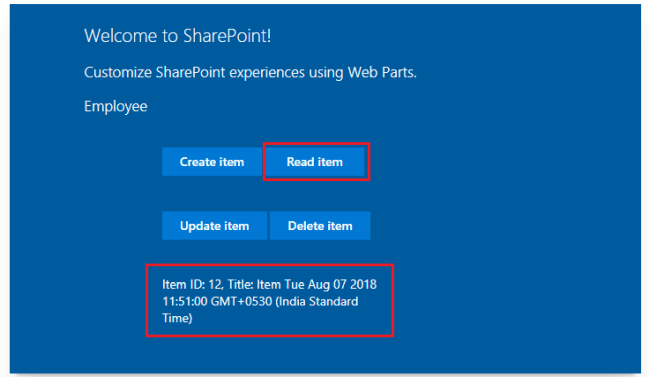 In the article Develop First Client-Side Web Part, we developed a basic SharePoint client web part which can run independently without any interaction with SharePoint. 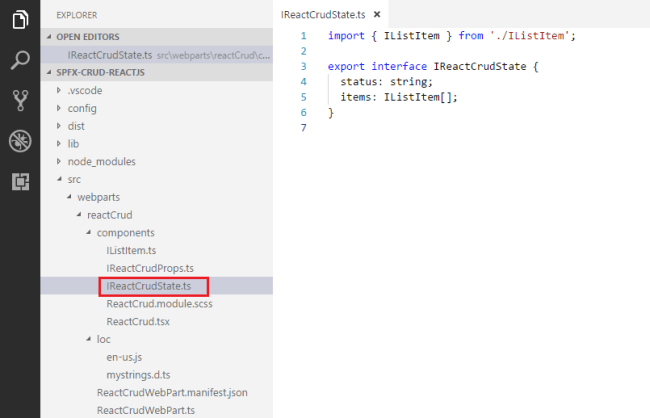 In this article, we will explore how to interact with the SharePoint list for CRUD (Create, Read, Update, and Delete) operations using React JS. 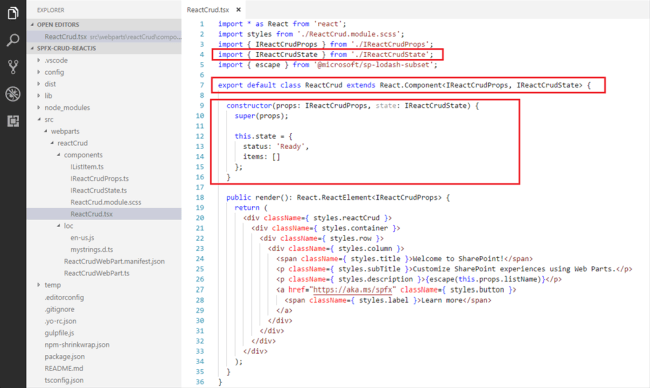 React JS is natively supported by SharePoint Framework. Hit enter to have a default name (spfx-crud-reactjs in this case) or type in any other name for your solution. 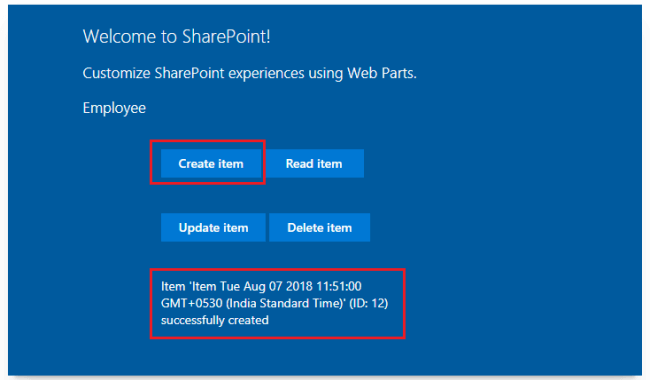 Here, we can select the target environment where we are planning to deploy the client web part; i.e., SharePoint Online or SharePoint OnPremise (SharePoint 2016 onwards). We may choose to use the same folder or create a subfolder for our solution. Selecting Y will allow the app to be deployed instantly to all sites and will be accessible everywhere. We can choose to create a client-side web part or an extension. Choose web part option. Hit enter to select the default name or type in any other name. Hit enter to select the default description or type in any other value. Yeoman generator will perform a scaffolding process to generate the solution. The scaffolding process will take a significant amount of time. In the command prompt type the below command to open the solution in the code editor of your choice. 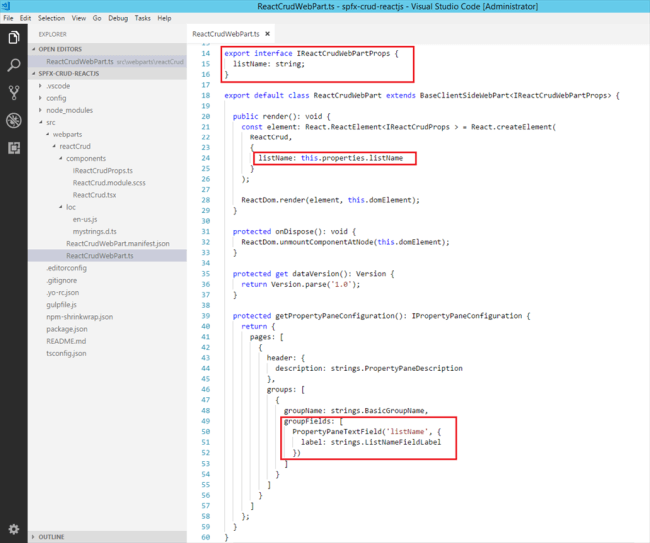 SPFx solution by default has description property created. Let us change the property to list name. We will use this property to configure the list name on which the CRUD operation is to perform. 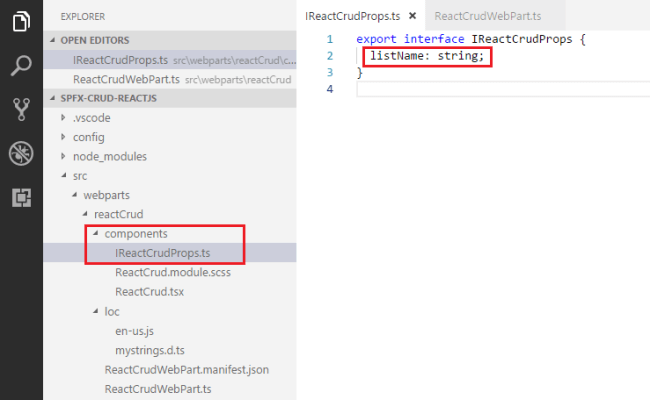 Open the main webpart file (ReactCrudWebPart.ts) under "\src\webparts\reactCrud" folder. 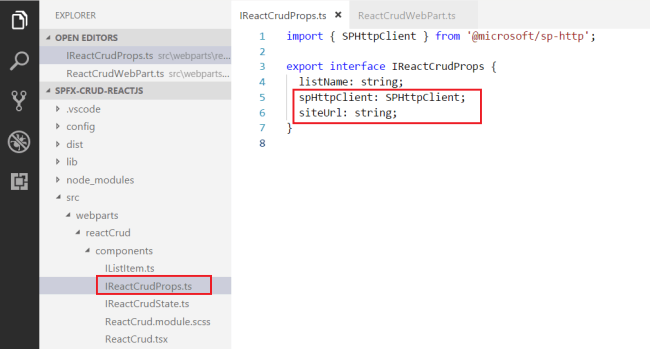 The UI in React gets served from component ReactCrud.tsx under "\src\webparts\reactCrud\components\ReactCrud.tsx". Make the changes for listName property in the component. 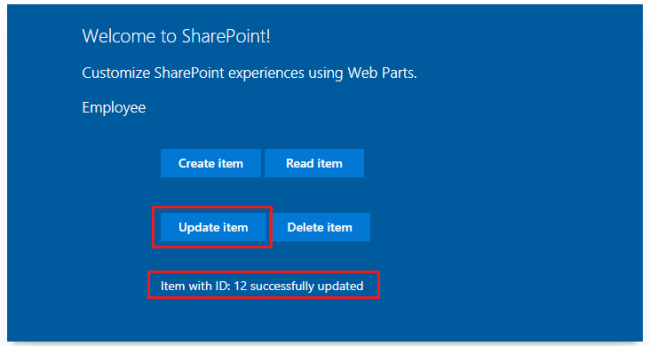 In the SharePoint local workbench page, add the web part. 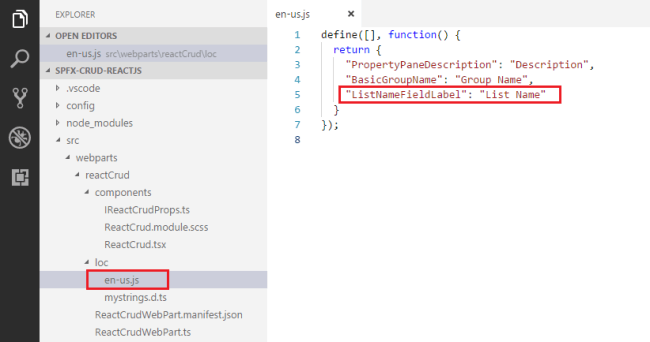 Edit the web part to ensure the listName property pane field is getting reflected. 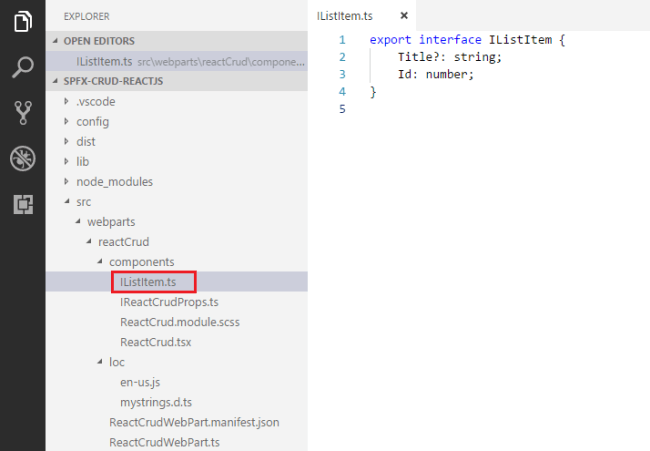 Add a class (IListItem.ts) representing the list item. React JS acts on the state change. Let us add a state to our solution. In the command prompt type “gulp serve” to see the buttons on web part. 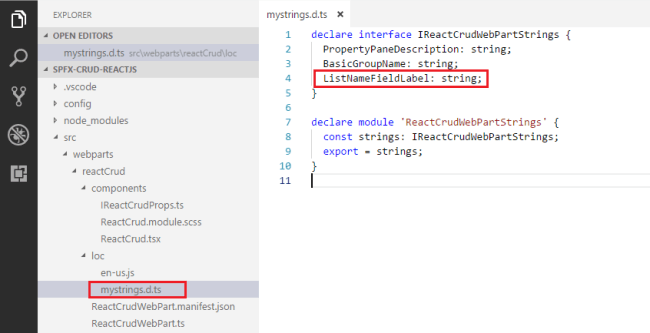 In ReactCrud.tsx implement generic method which will return the id of the latest item from the given list. We will use the REST API to add the item to list. We will use the REST API to read the latest item. We will use the REST API to update the latest item. We will use the REST API to delete the latest item. 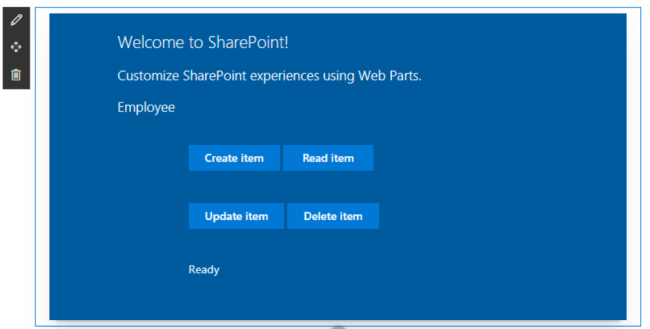 Add the webpart to page. 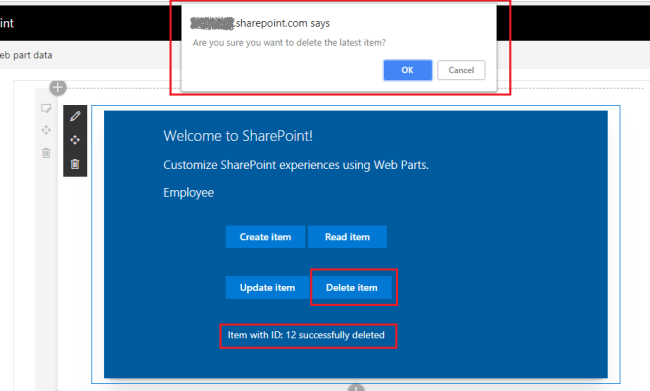 Verify the operations are taking place in the SharePoint list. 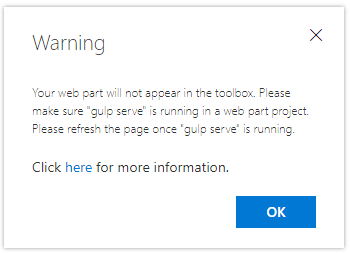 In some cases, SharePoint workbench (https://[tenant].sharepoint.com/_layouts/15/workbench.aspx) shows the below error although “gulp serve” is running. Open below URL in the next tab of the browser. Accept the warning message. 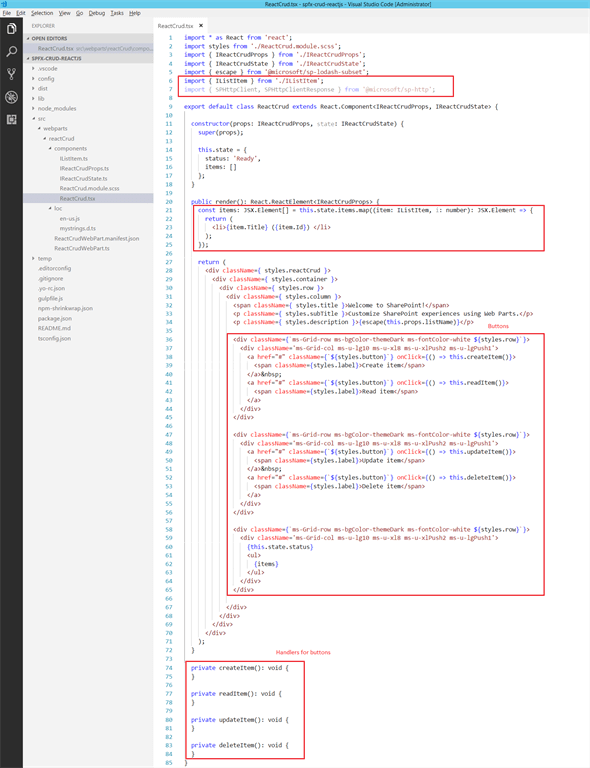 React JS is natively supported by SharePoint framework. SPFx generates all needed React components for you to get started with the development. React JS supports the application to be broken down into small React components, which simplifies development and maintenance. React JS focuses more on UI development, in contrast to Angular which is more famous for creating SPA (Single Page Applications).